Thanks to your help we were able to undertake dolphin therapy in Marmaris for our son Nico this year. 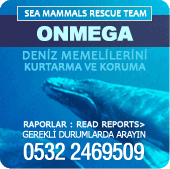 Your dolphinarium has been open since May and that is a good reason to inform you of our positive reactions. After 3 hours flight we arrived in Dalaman, Turkey, on the 11.06.07. A transfer bus awaited us at the Airport that took us to the Marmaris Resort Dolphin park through beautiful countryside, hills covered with stone pines. Marmaris lies in a secluded bay in the middle of this wonderful landscape. The Marmaris dolphin park is only a half hour from the town of Marmaris. The Marmaris dolphin park, a large Hotel complex, is set apart from tourism in the Nature Park of the Hisarönü Gulf. Here we were welcomed by Axel and Elena Linke, who were to be our contacts during our stay. We were directly accompanied to our accommodation – a bungalow at the beach with a view to the 1000 sqm dolphinarium in the sea. Our room in the bungalow had a double bed with a specially-ordered safety bed for Nico, there was a kitchenette, a bathroom with shower and a small veranda. In front of our bungalow we had our own beach, reserved for families with disabled children, no one else was allowed on the beach. After one day’s rest the therapies began. There were a lot of therapies and each supported another. So we had two therapies each day. Approximately I hour of dolphin therapy and Hippo therapy or Cranio. For Hippo therapy we went to a small ranch where the owner, who also has a disabled child, helps other disabled children with his own special therapy. Salih Kandemir has a disabled son and has been able to help him through Hippo therapy. Together with his wife he now helps many other children. On the Dörtnal Ranch, which is situated in beautiful countryside, we experienced the therapy in a friendly and relaxed atmosphere. We had the Cranio therapy and HippoTherapy on alternate days and the children became very relaxed. Nico profited from this very much as he had had many operations which led to blockades, and these were broken down making him more accessible for other therapies. This functioned very well, so that Nico was able to receive more from the dolphins. The dolphin therapy itself was adjusted to meet each child’s needs. The child’s wishes were met and the child was not coerced to do anything he didn’t want to. In our case Nico was anxious at first and didn’t want to enter he water. The therapists, however, found a way through games to bring him nearer the water and after 3 days Nico was ready to enter he water. He really enjoyed the therapy in the water and Nico developed into a real ‘water rat’. This was a tremendous success for us as up until then he had not been keen on being in water at all. We also found it very good that the parents were allowed to participate in the events and that they were included in the therapy. By this I mean that the parents were not delegated to the back row but rather encouraged to take an active part. We were most pleased with this as most disabled children are accustomed to their parents presence and are therefore less anxious. The Therapy Centre also provided a babysitter who we engaged once for our children so that we had some time for ourselves. The Hotel complex provides an abundance of leisure activities, whether sports such as diving, surfing, tennis and water gymnastics or extreme sports or relaxing massages, yoga and Turkish baths. It was also possible for the parents to visit the hairdressers or go shopping in the town. Some families at home only seldom have these possibilities. The therapy team is always ready to support the families in every way during their stay. Much is made possible and the team is always open to suggestions for improvement. We were also pleased that there was always someone on hand to ask in case any help was required. A very special thanks to Barbara Dietrich (Dolphin – Physiotherapist), Astrid Kulas (Cranio therapist) and Fillis and Salih Kandemir (Hippo therapists). A big thanks also to Axel and Elena Linke, Lisa Dietermann and Michael Jurk, who were always at our side for support. For us it was an unforgettable experience and Nico has even made improvements that were completely unexpected. Since the therapy Nico has spoken his first words and constantly makes sounds. He is also now much more lively and alert and we believe that he will continue to improve. We definitely recommend this therapy centre, not only because of its positive aspects and the inexpensiveness as opposed to Florida. We think that many families will now have the chance to undertake dolphin therapy. A lot is also to be said of the relatively short flight to turky as the long haul to America with disabled children is for many families just not possible. Additionally, the Package is all-inclusive, this means food and drink round the clock. We would like to thank you once again for the generous donation that made this trip possible. If we could turn to you again for assistance, we would be delighted to return with Nico. Attached are photos and a video we made of the course of the therapy and we hope that we can help many families in this way.